TrustVeterans.com - A Veteran's Take: Credit Report Errors. So today I came across a great video provided by 60 Minutes that illustrates some very expensive mistakes being made during the credit reporting process. 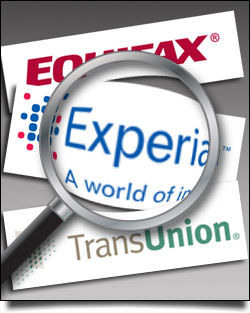 It is EXTREMELY important that you know what is contained in your credit report and how to take care of any issues that may arise when attempting to take corrective actions. It details how to format a letter and send it to the appropriate agency in order to begin the dispute process. Every person in America utilizes some form of credit at one point in their lives, especially if you are planning on purchasing a home. I know that I personally viewed the differences between my personal copy of my credit report, and the copy that my loan officer, Jed, received from the credit reporting agency that our company pays for. There were a few minor differences, but they were close enough, thankfully.